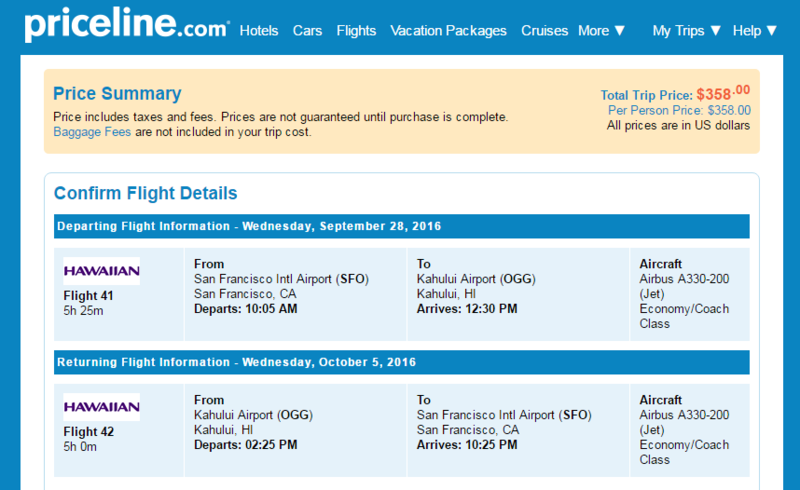 Fly to the island of Maui this August-November. 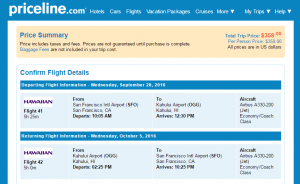 For $358-$378 roundtrip, including tax, book a nonstop flight from San Francisco to Kahului. 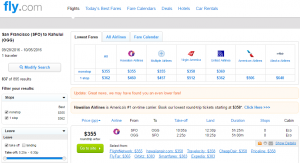 Flights are available on many major airlines, including Virgin America and Hawaiian Airlines. Save up to $200 compared with typical rates. 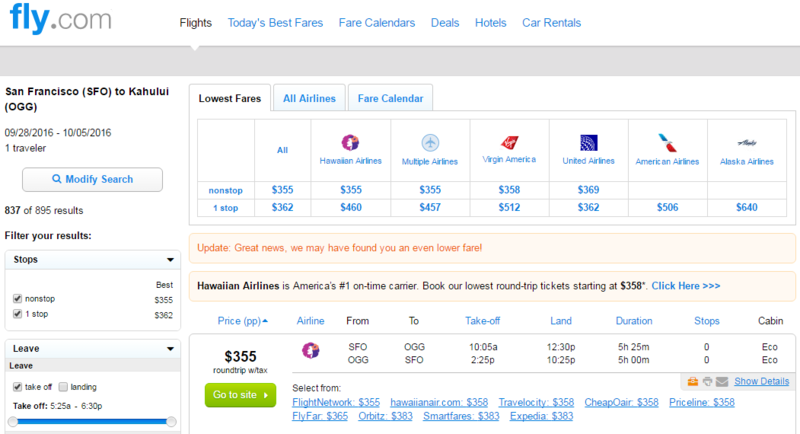 Note: Flights are available on many major carriers. For checked luggage information check our baggage fee chart. Save up to $200 compared with typical rates.